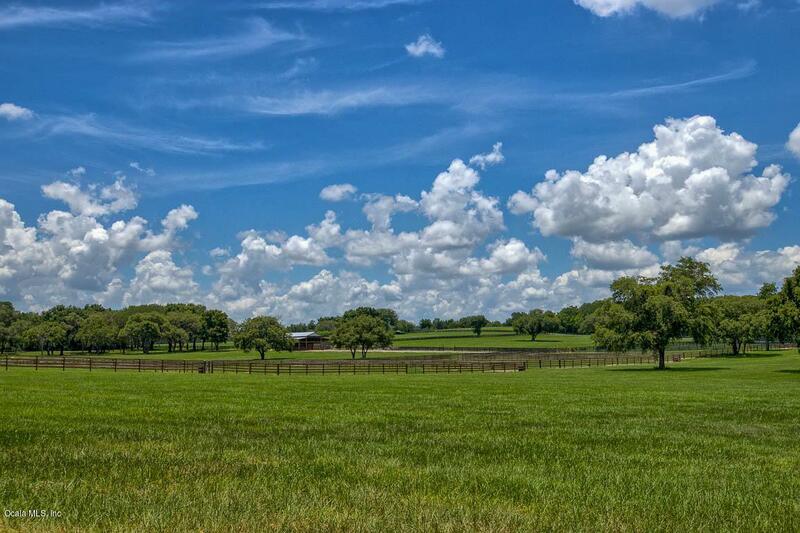 Nestled in the beautiful rolling hills of central Florida, rich with lush green paddocks and dappled shade of scattered Oak canopies, you will find Shenandoah Gypsy Vanner horse farm, where champions are bred, born, raised and trained. 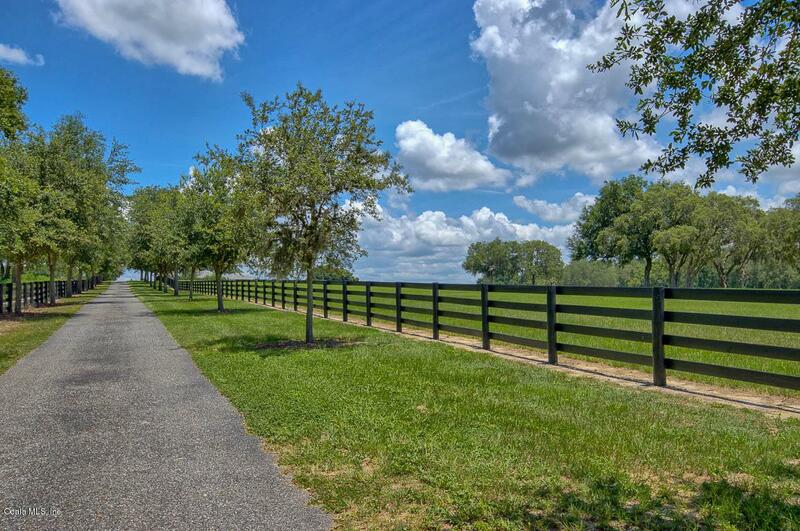 Drive up the tree lined drive and over the rise you will find 96.81 amazing acres of every equine amenity you could possibly want or need for any discipline! 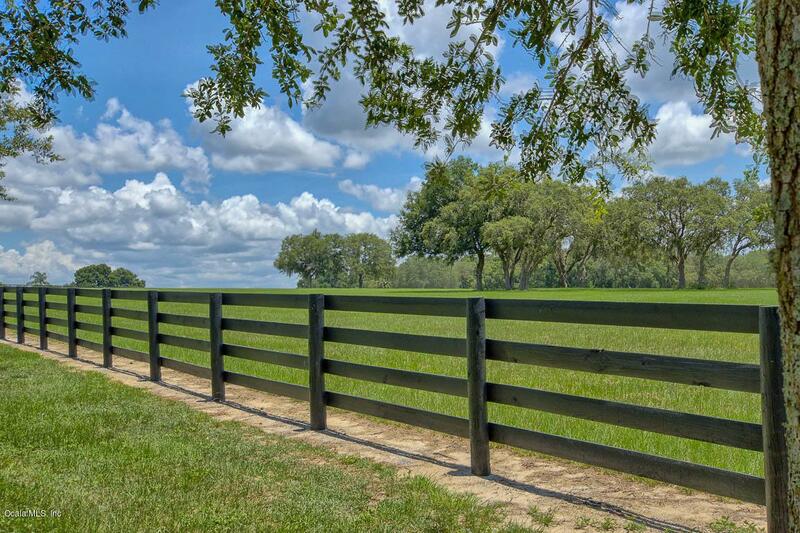 Across from Grand Oaks Resort and minutes to the Villages, this well laid out and impeccably maintained farm offers gorgeous landscaping, 40+/- acres of wooded trails to ride in the shade and an outdoor riding arena. The main barn features 12 stalls with shaded breezeways, a newly remodeled 1/1 apartment, wash stalls and equipment & workshop areas. Keep the horses fit in the covered Equicizerwith rubber footing and interior state of the art breeding facility with its' own vet lab. 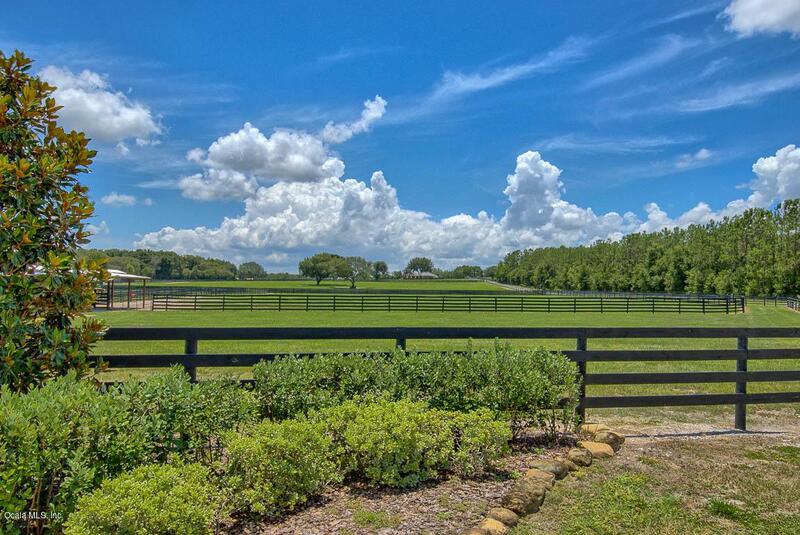 The farm is complete with a 10-stall mare barn, 15 paddocks and a keenly designed 2 stall stallion barn with wash stall and office with a full bath. At Shenandoah Gypsy Vanner horse farm... it's all about the horses. However there is a lovely 3141 sq ft, 3/2 open concept, hilltop home highlighted by views of the entire farm and an outdoor living area which includes a covered patio, salt pool and beautifully landscaped koi pond. Fruit trees abound at the farm along with a special spot for your garden!